“The Summoning” from Christian Faith Publishing author Richard L. Hardman is a frantic adventure of stopping a demon set on death and destruction. A 250 year-old hunter, Marcus Jones battles evil creatures of all kinds—but finds his biggest and most dangerous challenge to face yet. “The Summoning”: a spellbinding tale of the never-ending battle between good and evil, between light and dark. “The Summoning” is the creation of published author, Richard L. Hardman, an author who wanted to see something different. After viewing modern vampire and werewolf films, Richard wanted to take these beasts back to their roots—as objects of terror and evil, rather than of desire. Richard lives in Kansas City, Kansas with his family and pets. Published by Christian Faith Publishing, Richard L. Hardman’s new book tells of a constant battle of light and dark—humanity against evil. Marcus Jones is a 250 year-old hunter of supernatural evil, from demons to vampires, and witches to warlocks. Appointed by God himself to bring light to this dark, he has the tools and methods to be an unstoppable force of good. Until now. An evil sorcerer, entering into a blood pact with a demon, brings forth a dangerous and terrible creature of nightmare: a loup-garou, whose only mission is death and destruction. Now, it is Marcus’s mission to somehow stop a beast, who will stop at nothing to destroy everything around it. View a synopsis of “The Summoning” on YouTube. 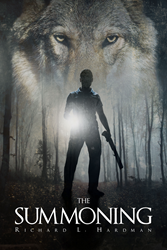 Consumers can purchase “The Summoning” at traditional brick & mortar bookstores, or online at Amazon.com, Apple iTunes store, Kobo or Barnes and Noble. For additional information or inquiries about “The Summoning”, contact the Christian Faith Publishing media department at 866-554-0919.